Herbert Huppertz was born on 3 June 1919 at Rheydt in Rhineland. He joined the Luftwaffe in autumn 1937. In autumn 1939, Huppertz was posted to JG 51. 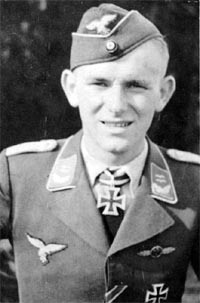 Leutnant Huppertz was assigned to 6./JG 51. He gained his first victory during the French campaign on 28 May 1940, when he shot down a RAF Spitfire fighter near Dunkirk. He participated in the Battle of Britain gaining four victories in the aerial battles over England. In spring 1941, Huppertz was transferred to 12./JG 51 operating over the Eastern front. After gaining his 33rd victory on 9 August, he was shot down in Bf 109 F-2 (W.Nr. 8938). He baled out unhurt. On 25 August, Huppertz claimed his 34th victory. On 30 August, Leutnant Huppertz was awarded the Ritterkreuz. In September 1941, Huppertz was transferred to the Ergänzungs-Staffel/JG 51 to undertake instructing duties. He returned to the Eastern front at the end of December. He was assigned to the Gruppenstab of III./JG 51 where he gained a further five victories. On 27 January 1942, Huppertz was appointed Staffelkapitän of 12./JG 1, based initially at Brest, then Jever before being sent to Norway. He participated in Operation Donnerkeil, the aerial protection of the German battlecruisers Scharnhorst and Gneisenau and the heavy cruiser Prinz Eugen on their epic dash through the Channel from Brest. He claimed an RAF Spitfire fighter shot down on 12 February during this operation.  In March, IV./JG 1 was redesignated III./JG 5. Huppertz retained command of 9./JG 5. On 2 April, he claimed a RAF Mosquito twin-engine bomber shot down off the Norwegian coast. He was injured in a forced landing of Fw 190 A-2 (W.Nr. 2208) on 15 September at Morgensbeck. Huppertz was appointed Staffelkapitän of 3./JG 2 based on the Channel front on 9 November 1942. His stay with the unit was short as he was transferred to take command 10./JG 2 shortly afterwards. On 30 December, Huppertz recorded his 60th victory. In February 1944, Hauptmann Huppertz was appointed Gruppenkommandeur of III./JG 2. He was shot down and wounded in Fw 190 A-7 (W.Nr. 340 275) on 22 February in aerial combat with USAAF four-engine bombers. On the first day of the Allied invasion in Normandy, Huppertz claimed five victories over Allied fighters shot down (73-77). On 8 June 1944, Huppertz was shot down and killed in Fw 190 A-8 (W.Nr. 730 440) by US fighters near Cintheaux in the Caen area. He was posthumously awarded the Eichenlaub (Nr 512) and promoted to the rank of Major. Herbert Huppertz was credited with at least 78 victories. He recorded 33 victories over the Eastern front. Of the 45 victories recorded over the Western front, 17 were four-engine bombers. 16:00 B-17 12./JG 2 W Pont-a-Mousson / not confirmed? 19:07 P-47 Stab III./JG 2 Arromanches / not confirmed?